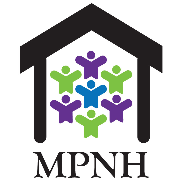 Mount Pleasant Neighbourhood House supports people in the community, from 40 countries, many First Nations, and all generations. We provide a place to call home for longtime neighbours and newcomers, including immigrants and refugees. Our House is a welcoming place for people from all walks of life, from infants to seniors. Our affordable programs and services help participants make the most of life in East Vancouver, by connecting, celebrating, engaging and leading.